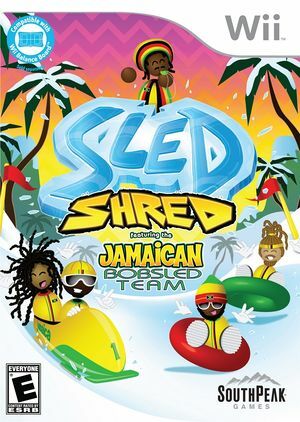 In Sled Shred, players will be able to race through a robust single player story mode, where they take on the role of the one and only Jamaican bobsled team and their intrepid "Coach Mon" as they race to become top team! Play with up to four friends in no-holds-barred multiplayer match-ups and run the gammit of sledding vehicles. From toboggans to discs and back to inner tubes, you'll be flying down the slopes at breakneck speeds - all for that big win. As an added bonus, players can also use their Wii Balance Board peripheral to control the heated snow-bound action! The graph below charts the compatibility with Sled Shred since Dolphin's 2.0 release, listing revisions only where a compatibility change occurred. This page was last edited on 13 January 2018, at 13:42.